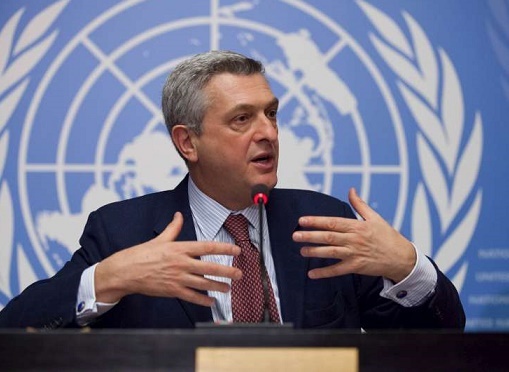 On Monday and Tuesday this week, the foreign minister, Anders Samuelsen, and the development minister, Ulla Tørnæs, played host to Filippo Grandi, the UN’s High Commissioner for Refugees. Inevitably perhaps, the situation in Syria was high on the agenda. Speaking of the realities on the ground, Samuelsen said that “it is vital that Syria’s neighbouring countries don’t collapse politically and economically under the pressure caused by the many refugees.” He also pointed out that it was in Denmark’s national interest to help Syrian refugees locally. On Monday, the commissioner updated Tørnæs on the latest UN initiatives concerning refugees. Denmark has a partnership agreement with UNHCR, the UN body concerned with refugees, and contributes at least 320.5 million kroner annually. Of this, 160 million kroner is given in a way that enables the organisation to use it however it sees fit when a new humanitarian crisis occurs. In 2017, it was estimated that more than 22 million people were refugees. Since then the number of people considered refugees in their own countries has increased massively and is now thought to be around 43 million. The discount shop chain Normal have come under fire on social media as a result of an advertising campaign that seems to have backfired badly. The campaign uses marks on the shop floor and signs to indicate a so-called ‘Fars track’ (father’s track/fast track) in the shops to provide guidance to help men shop quickly and conveniently, BT reports. However, Facebook users didn’t see it that way. The chain was accused of sexual stereotyping of the worst kind and the campaign was called “an embarrassing awful advertising stunt”. A spokesperson for Normal regretted offending anyone and pointed out that it was supposed to be taken light-heartedly. The plus side is that now more Danes have heard of Normal. Figures from the national statistics keeper Danmarks Statistik reveal that most Danes are happy with the size of the village, town or city where they live. Asked ‘Where would you like to live in ten years’ time?’ the overall result was that people were happy where they were. Those under 30 were the ones most likely to want a change – around half wanted to move somewhere bigger. On the other hand, around 25 percent of those in middle-sized or larger cities wanted to move to the country. Amongst the over-60s, it was primarily those living in the country who indicated a wish to move to somewhere slightly bigger within ten years. One of the most trafficked bridges in Copenhagen, Langebro, is slated for serious repairs from June 15 to August 6. Every day around 58,600 vehicles and 40,400 bikes cross the bridge connecting Copenhagen to Amager, reports BT. During the renovation it will still be possible to transit the bridge but several lanes will be closed, so vehicle queues will move more slowly and pedestrians and cyclists will have to use narrower paths. In 2014, Malthe Thomsen was in New York working in a kindergarten as part of his studies and in June that year was accused of sexually abusing 13 of the children by one of the other staff. An internal investigation exonerated him and his accuser was fired. However, she then reported him to the police, resulting in Thomson being imprisoned in the notorious Riker’s Island prison where he was threatened and felt obliged to go into solitary confinement. In November 2014 all charges were dropped and Thomsen received 500,000 kroner in compensation from the state. After a four-year legal battle a settlement has now been reached with his accuser for an undisclosed million kroner sum.